CROET is sponsoring a book drive for the Hood River County Library! 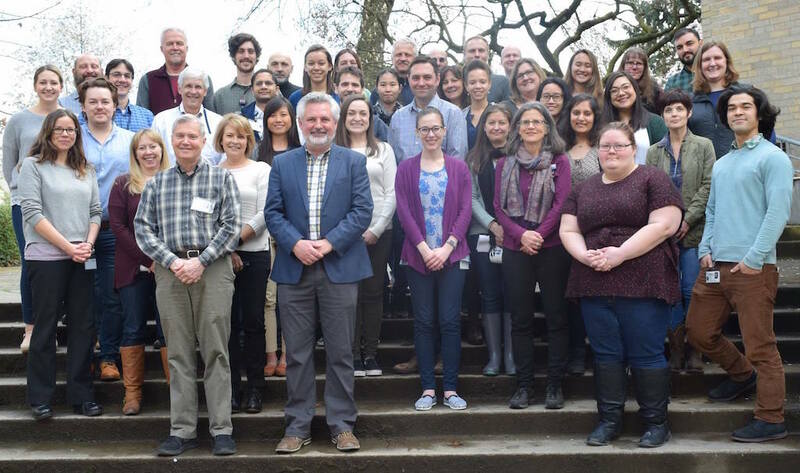 Families from the Hood River community participated in a research project examining health effects in children living in an agricultural community. During 2008 and 2009, CROET researchers were able to use a meeting room at the library for data collection. You could find us there all day almost every weekend September through January. We led area children through a series of neu robehavioral tests and games as part of an agricultural study conducted with Pacific Northwest Agricultural Safety and Health Center (PNASH). Then, in 2010 the Hood River County libraries closed due to budget issues. Fortunately for the PNASH project, county schools and other area libraries were able to meet our needs, although none was as recognizable or convenient as the iconic downtown Hood River library. As a result of community outcry and support, the library reopened earlier this summer. Since then we have taken up our old post in the meeting room for our final two months of data collection, along with providing computer based training on pesticide safety to community residents. Although the library has reopened, resources are limited to purchase new books. To show our gratitude to the library we are sponsoring a book drive here at CROET. So clean out your bookshelves and bring your books to the Book Deposit Box located by the elevators in the Richard Jones Hall at OHSU. The book box will be there for the last two weeks in September. New or recent publications are particularly desirable but any books in good condition, as well as DVDs or audio CDs would be welcomed. Cash donations may also be left in the main CROET office on Floor 2. We are also happy to pick up books – call Andrew at 503-494-2532.